Austin’s Levitation festival (fka Austin Psych Fest) has announced more details about its 2018 edition — it’s first since getting rained out in 2016 and subsequently taking 2017 off. 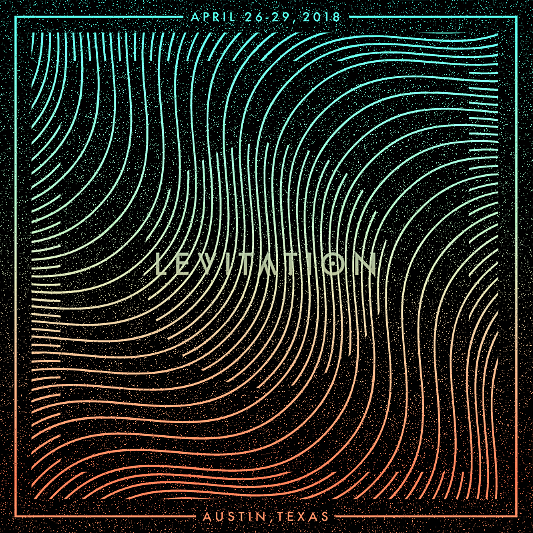 After three times at Carson Creek Ranch, Levitation moves back to downtown Austin from April 26 – 29, happening at multiple venues in the Red River Cultural District, including Stubb’s, The Mohawk, Barracuda, Empire Control Room, Cheer Up Charlies and more. The 2018 kickoff show will happen at Stubb’s on 4/26 with Ty Segall, Parquet Courts and A Giant Dog. Tickets for that show are on sale now. The fest is also promising “pop-up performances, art happenings, food events, and more” at the city’s cafes, galleries and record stores. The full 2018 Levitation lineup will be revealed later this fall.